Many gardeners with shady, low-light landscapes mistakenly believe they can’t enjoy beautiful gardens and flowerbeds because of the lack of sunlight. 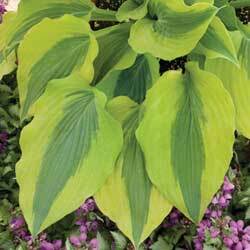 In reality, however, many stunning perennials thrive in shady spots and can bring elegance, color and beauty to what was formerly a drab corner of the yard. Some include stunning foliage, even variegated options or unusual shapes, while others have subtle yet beautiful blooms as well. Some even have dramatic stems and arching branches that can be lovely all year long. 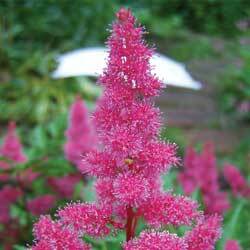 Try some of these shade-loving perennials to brighten up your darker spots, whether they are beneath mature trees, tucked into hidden corners or just in less sunlit areas. When choosing your shade-loving perennials, be sure to take into consideration the size of the space you’re hoping to fill, the soil quality, moisture levels and whatever sunlight the area does receive. Plant them gently and care for them thoughtfully until the plants are well established and they will thrive. 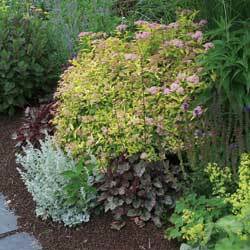 Carefully selected shade perennials can do well if they are well-matched to their location, and you’ll love the beauty and ease they add to your yard.